GODS TOWER was formed back in 1989 by the guitarist Alexander Urakov and vocalist Lesley Knife. Up to 1992 the band was working out its own musical concept and style, repeatedly changing its name and line-up. In the long run the band was made up in Gomel, Belarus in summer 1992 with the following line-up: Alexander Urakov (guitars), Lesley Knife (vocals), Uri Sivtsov (bass), Vladislav Saltsevich (drums). In august of the same year the highly appraised debut demo Demolition Tape was recorded. At that time the band was still called CHEMICAL WARFARE. The music played at that time can be defined as death/thrash with the tendency for gothic doom. At the end of 1992 the band changed its name for the last time to nowadays well-known GODS TOWER. The music style altered towards pagan gothic doom metal. During this time session keabord players are often used by the band. The sound becomes rich, deep and atmospheric. The second demo-tape, The Eerie, saw the light of the day in summer 1993, offering the fans great pagan gothic doom with the elements of old-Belorussian folklore in the basis. The demo succeeded greatly all over the world. Due to this record GODS TOWER signs a deal with the Moscow label Final Holocaust Records for a single and two full-length albums. Two songs for the Beyond Praying single were recorded in September at the Moscow TEF Studio. Unfortunately the single was never released because of the crash of the young and inexperienced label and the loss of the master-tape by them. At that time GODS TOWER played a series of live shows in Belarus with bands like Zhelezni Potok, Thrasher, Corpse (r.i.p. ), NecroK.I.L.L.Dozer (r.i.p. ), Pathologist Department, Krabathor, Crunch. In summer 1994 a second guitarist Alexander Eristov joined the band. During the same summer the material for the ?Beyond Praying? video was shot. Later that year an experimental demo Canticles was recorded. This record reflects the band's interest in psychedelic and pagan ritual music. After the recording GODS TOWER made its first trip abroad. The band performed in Czechia along with Purgatory, Desultory, Samael and Cannibal Corpse. Until the summer of the following year the band took part in the shootings for the Belorussian TV, was giving live shows in Belarus and Ukraine and composing new material. In May 1995 a permanent keyboard player enrolled GODS TOWER. In summer Alexander Eristov left the band. During August and September several new songs were recorded, from which a demo-tape was composed. This tape was meant for labels only and was showing the band's progress. Due to this material GODS TOWER have signed for three albums with the Moscow label MetalAgen Records, the then partner of SOYUZ Studio. In summer 1996 GODS TOWER took part in a two-day open-air festival near the German city of Heidenbourg, where they performed at one stage with In Flames, Primordial, Behemoth, Pavor, Bethlehem, Ancient Ceremony, Desaster, Crystal Age, Inquisitor, etc. By spring 1996 the material for The Turns longplay was ready. It was recorded at the Moscow Aria Records Studio during May and June. The stylistic direction of that album can be defined as slavonic pagan heavy folk doom metal. The first printing was issued on tapes by Polish Morbid Noizz in early 1997. During May and June of the same year GODS TOWER re-recorded their demo The Eerie for releasing it in CD-format. The recording was done at Aria Records again. The song ?Beyond Praying? from the Canticles demo was also re-recorded to appear on the first limited digipak CD The Eerie as a bonus track. During this time the band performed a great deal of live shows in Belarus, Russia, Moldova, Tatarstan and Ukraine together with bands like Axident, Utopia, Canonis, Sorrowful God, Korrozia Metalla, Tales Of Darknord, Detonator, Great Sorrow, Nocturnal Mortum, End Zone, Mental Home, Sieged Mind, Great Gernunnos, Romantic Sud-V 19/X0 p.c.,Vicious Crusade, Hermh, Goresleeps, Headcleaner, Insania Trivium, Apraxia, Sermon, Mad Sanity, Exhumator, Krabathor, Brainstorm, Tornado, Fat Not Dead, Greystream and many others. At the end of 1997 a videotape Twilight Lives 94-97 was issued. It contained amateur concert video-materials, Belorussian TV shootings and a video clip for a demo-version of the ?Beyond Praying? song. CDs and cassettes with The Turns and The Eerie albums were released at the beginning of 1998 at MetalAgen/SOYUZ, as well as two videos for ?The Eerie? and ?An Eye For An Eye? songs were shot. The first one soon reached the top position in Belorussian charts. For two years after that GODS TOWER conducted feverish concert activity all over CIS states. Among their stage-partners there were Paradise Lost, DORO, Forgive Me Not, End Zone, Vicious Crusade, N.R.M., Sanatirium, Mental Home, Evthanazia, TT-34. 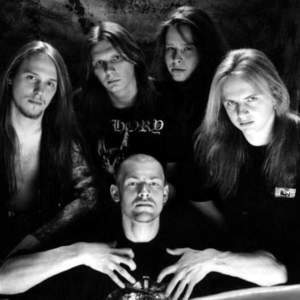 In 1998 GODS TOWER was recognized the best Belorussian metal band by the readers poll of Legion magazine, and The Turns album reached the highest position in Belorussian metal charts. At the end of 1999 German label Sturmesflugel (subdivision of Prophecy Productions) releases the album entitled Ebony Birds. It contained best songs of GODS TOWER from the previous albums and was meant specially for European market. Different songs of the band appeared on various CD-compilations both in Germany and CIS. At the beginning of 2000 the band visited Hungary, where it took part in the greatest European music festival PEPSI SZIGET in Budapest, together with Bad Religion, Clawfinger, Oasis, Guano Apes, Apollo 440, HIM, The Bloodhound Gang, Therapy ?, Zdob si Zdub, Chumbawamba among others. All in all there were approximately 300 bands performing during one week at about 20 stages! GODS TOWER acted as headliners at the RADIO TILOS stage with Human Error, Neural Buster, Ahriman, Nebron, Suffocate, Dark Clouds and Hungarian legend Mood. Right after their arrival from Hungary Dmitri Ovchinnikov and Uri Sivtsov parted with the band over personal reasons. At the end of September the band recruited Valeri Novoseltsev (Ex-Entry, Voodoo,TT-34) on bass and Sergei Sergeichikov (Voodoo) on keyboards and headed for Riga and Vilnus within the limits of Baltic Thunder Tour with Sanctimony, Tharapita, Meressin, Neglected Fields,Ugnelakis and Zpoan Vtenz. After that GODS TOWER toured CIS states and recorded several new songs, which together with bonus-tracks formed a mini-CD released in summer 2002. On July 16 on account of the bunch of accumulated problems the band announced its break-up. Band broken up on July 16, 2002. Later, on December 14, 2003 died Alexander Urakov, guitarist, songwriter and co-founder of GODS TOWER. Although, on May 13, 2010 Lesley Knife declared about reunion of the band with the new guitarist. The band will celebrate come back with the serie of concerts in Russia, Belarus and Ukraine.